Bright light siam color. 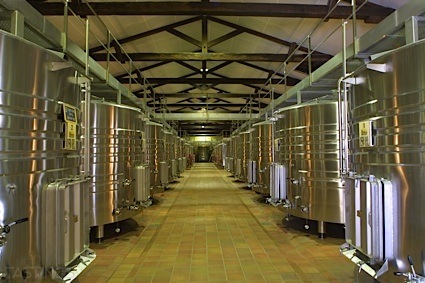 Aromas of raspberry hard candies with a satiny, lively, effervescent, sweet medium body and a smooth, breezy liquid filled strawberry candy, white grape juice, and green apple candy finish with soft, fruit tannins and no oak flavor. A berry sweet quaffer for everyday celebrations. Bottom Line: A berry sweet quaffer for everyday celebrations. 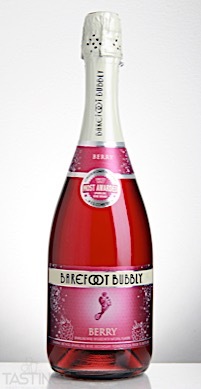 Barefoot Bubbly NV Berry Sparkling Dessert Wine, California rating was calculated by tastings.com to be 84 points out of 100 on 9/18/2017. Please note that MSRP may have changed since the date of our review.